Assisted by South-African dancer Moya Michael, Faustin Linyekula teams up with 20 dancers from It’s Showtime NYC!— to create a series of performative dialogues in Brooklyn and the Bronx. During a two-week residency, he will work with each member of It’s Showtime NYC!— a program of Dancing in the Streets that supports the development of street and subway dancers in New York City— exploring movement, memories, and hopes in the process of shaping meaningful stories. The project will culminate in two events in which the performers share their dreams for a better future through street dance, music, storytelling, and community dialogue. The work celebrates the small, personal details that define who we are, and that connect us all as human beings. 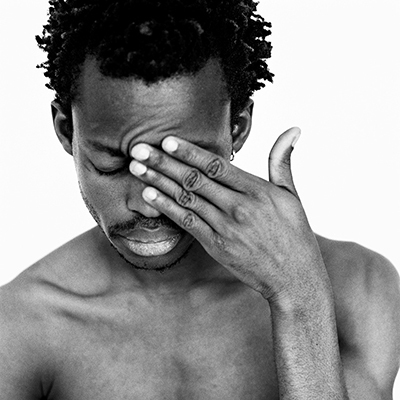 Faustin Linyekula is a choreographer and performer with a "live-wire intensity" (The New York Times). His riveting work often addresses themes of memory, forgetting, and dreams. With his country's history as a catalyst, he considers the impact that decades of war, trauma, and economic uncertainty have on people's lives. Linyekula founded the Studios Kabako in 2001. Based in Kisangani, DR Congo, the company fosters young artists, acts as a laboratory for the development of theater, dance, music, film, and video, engages in local community initiatives, and supports the touring of Linyekula's work worldwide. Linyekula has performed in New York at MoMA and at Crossing the Line Festival in 2011 and 2012.